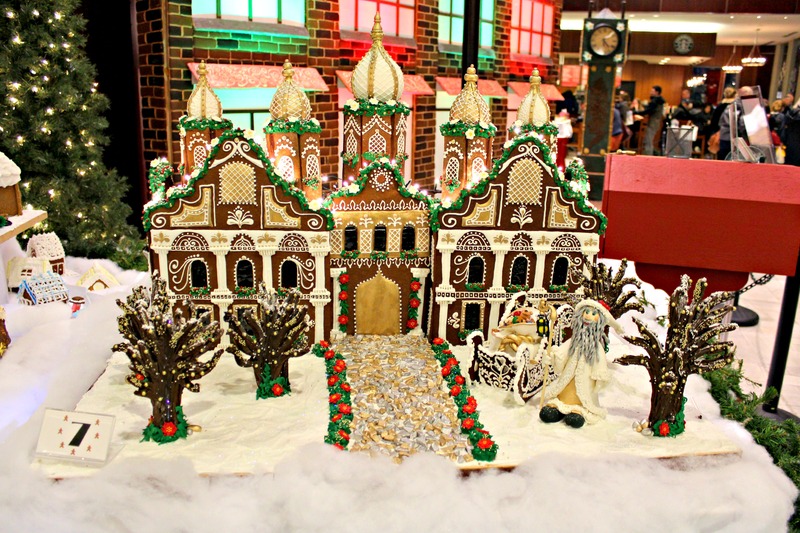 The city's signature yuletide celebration offers its largest festivities to-date, with more than 75 huts stuffed with sweets, treats, and treasures. Wander the market’s winding alleys and discover authentic German delicacies: sizzling sausages, warming Glühwein (mulled wine), old world confections, and so much more! Be dazzled by the glittering carousel, a 30-foot tall walk-in Christmas tree boasting 36,000 twinkling lights, live entertainment, and a multitude of festive family activities. Skating is free for all ages. Those who own their own skates are welcome to use them. Skate rentals are $4, and rentals end 30 minutes before closing time. Furthermore, helmets are mandatory for children 12 and under. Robson Square Ice Rink will offer rentals and accept cash only. A winter attraction that features over 100,000 Christmas lights and festive displays around Coquitlam’s Lafarge Lake at night. There are illuminated archways to walk under, Christmas light reindeer to admire and various themed areas throughout the park including a Fantasy Forest, Arbour Walk and Woodland Garden. The lights are illuminated daily from 4:30 until 11:00 pm, and on New Year’s Eve from 4:30 pm until 1 am. Experience VanDusen Festival of Lights, a magical winter wonderland with over one million lights decorating VanDusen Botanical Garden. All tickets include a free ride on the carousel! Families, kids and couples alike can listen to holiday stories and take a selfie with Santa in the glasshouse until December 24. This is now a free experience included with entry! Be mesmerized by lights dancing to classic, disco and soul music sets on Livingstone Lake, every 20 minutes. Meet the puppets in the glasshouse at this interactive musical puppet show with singing, clapping, music, and laughter! At Glow there is a giant tunnel of lights, a children’s scavenger hunt, a Christmas light maze, numerous Christmas displays, a large Christmas store, an artisan market with local vendors, and a small number of food trucks. There is also a small kids’ activity area, plus both Santa Claus and live music. It’s indoors, warm, dry and magical with all its holiday lights and festive displays. Santa: Santa Claus has a station between the Glow greenhouse’s main entrance and the artisan market. He is only there at set times though, but usually between 5-9 pm. Photo opportunities are by donation. Music: Evening performances usually run between around 5:30 and 9:00 pm, plus or minus, and consist of 30-minute sets with 20-minute breaks in between..
Tickets are purchased for specific time slots: 4-6 pm, 6-8 pm and 8-10 pm. Guests are requested to arrive during their designated time slot. This is a great system and done to help reduce congestion inside and lineups at the gate. Parking is free! Cost: Admission is free, but carousel rides cost $2.65. TIP #1: If you go on a Sunday you’ll find free cookies (one per person) in the Farmhouse between 2:00 and 4:00 pm. TIP #2: Santa is scheduled to be at the Burnaby Village Museum on weekends between November 25 and December 23, from 2:00 until 5:00 pm and then again from 6:00 until 8:00 pm. He’ll also be there daily between 6:00 and 8:00 pm during the week of December 18 to 22. TIP #3: Dress warmly if going at night. A series of community events on December 21, 2017, that features food, music and fire performances at night. Mainly at ‘Roundhouse Community Centre’ (181 Roundhouse Mews), although its procession starts at 6pm at the ‘Gathering Place Community Centre’ (609 Helmcken Street). The Winter Solstice Festival in Yaletown is free, although suggested donations of $5 per participant are appreciated. At the Yaletown Roundhouse venue, there is also a “Labyrinth of Light” featuring over 600 beeswax candles that people can walk around, at set times, for either free or $7 depending on whether you’re older or younger than 12 years of age. With this component of the festival there are three separate processions that all start at 6 pm and finish at the False Creek Community Centre on Granville Island. One of the procession starts at the H.R. MacMillan Space Centre, another starts at Granville Island Triangle Square outside the Granville Island Public Market, and the third one begins at Leg-In-Boot Square between the eastern edge of Charleston Park and the Mahoney & Sons pub at 601 Stamps Landing. All three processions start at 6 pm and converge at the water park outside the False Creek Community Centre at 1318 Cartwright Street on Granville Island. The walks are fun and family-friendly, and participants are welcome to bring handmade lanterns for the journey. After the processions there are free indoor activities at the False Creek Community Centre between 7 and 9 pm, and then a fire performance finale just down the street at Granville Island’s Ron Basford Park. The festivities at Granville Island are mostly free, although donations are encouraged. The Winter Solstice Festival at the garden is a small but interesting event, and features a selection of beautiful lanterns, lights scattered around the garden and live music in a side room. The Winter Solstice Lantern Festival takes place most (but not all) years at the Dr. Sun Yat-Sen Classical Chinese Garden at 578 Carrall Street from 6 to 10 pm. Some years there has been a lantern-making workshop at the Strathcona Community Centre right close by beforehand at 601 Keefer Street, followed by a procession through the streets of Strathcona from 6:00 until about 6:20 pm before finishing at the gardens. This won’t be happening, however, in 2017. Lanterns and light projections throughout the garden including a ­­­14-foot-long dragon lantern. Tea ceremony opportunities featuring live music. One-of-a-kind lanterns made by Secret Lantern Society artists available for purchase. 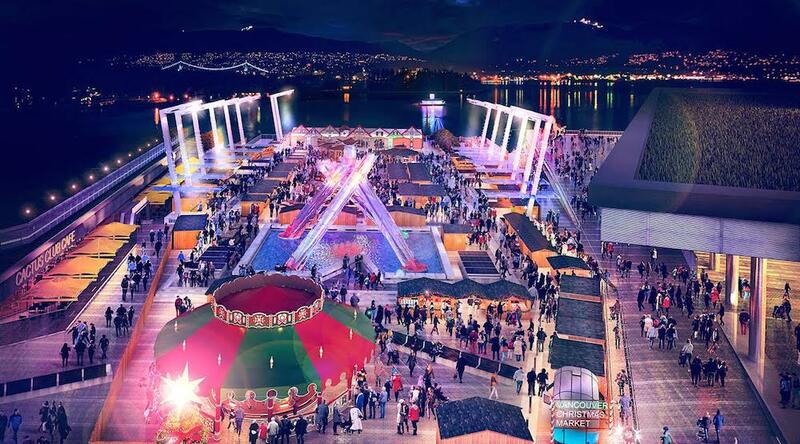 Over the Christmas season at Canada Place there is an avenue of decorated trees, historic Woodward’s Christmas displays, colourful lights on the building’s sails and seasonal movies in Rudolph’s Theatre. It’s all very festive, mostly outdoors and FREE! A festive display of tasty-looking Christmas gingerbread creations scattered around on a number of seasonally decorated tables in the lobby of Vancouver’s Hyatt Regency Hotel. As you enter the hotel lobby one of the first things you’ll see is a giant, almost life-size cookie house display. It’s not actually made out of real cookies, although for many years, and until recently, it was. Let us know what you think of any events you attend!